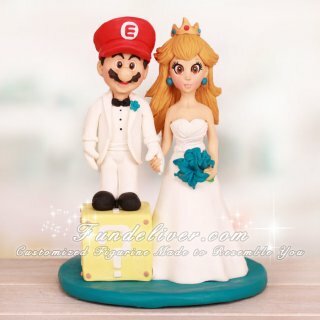 This is a completely customized Super Mario character wedding cake topper ordered by one of our customers. 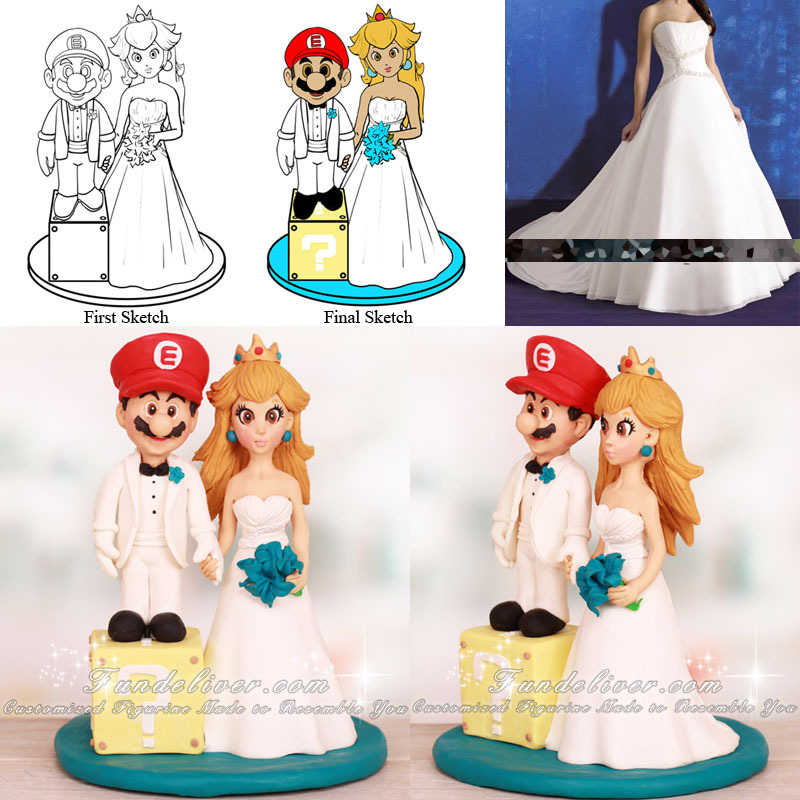 They would like their topper to look like sketch 4 as this Mario and Princess Peach wedding cake topper, but to make Mario in white pants, black shoes and an "E" on his hat, standing on a question mark box to make him closer to Princess Peach's height. They also would like Princess Peach to be in her wedding dress and a golden crown, holding turquoise flowers. For the base, they would like a round turquoise one to match her bouquet.